Brazil's ex-president Luiz Inacio Lula da Silva on Tuesday dropped out of the presidential race and called on his supporters to vote for his substitute, Fernando Haddad. In this file picture taken on September 27, 2012, Brazilian former president Luiz Inacio Lula da Silva (L) raises the hand of the mayoral candidate of the Workers Party Fernando Haddad during a campaign rally in Sao Paulo, Brazil. 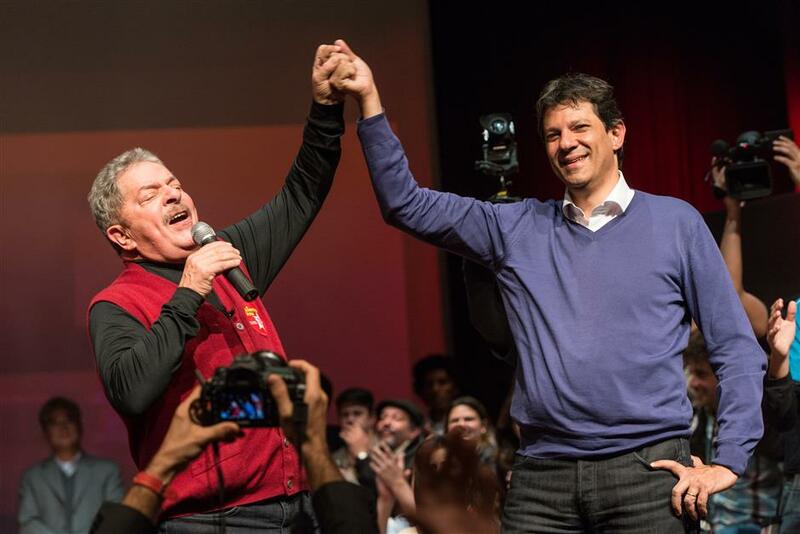 Earlier in the day Haddad, the former mayor of Sao Paulo, was designated the new candidate of the left-leaning Workers' Party in the upcoming elections scheduled for October 7. Lula, who was at the end of August barred from running due to his conviction on corruption charges, is serving a 12-year jail sentence at a federal police-held facility in Curitiba, capital of the southern Parana state. The PT held a rally outside the facility to formally launch Haddad's candidacy, and one of Lula's lawyers read a message from the jailed leader to his followers. "I want to ask, from the heart, all those who would vote for me to vote for Fernando Haddad for president," said Lula, who has denied any wrongdoing, saying the charges were politically motivated to prevent his party from returning to power. Lula remains highly popular and polls consistently showed he led the field of 13 candidates by a wide margin, despite his legal troubles. "Fernando Haddad will be Lula for millions of Brazilians," he added.